Last November, I’d settled into a new job and was ready to get more serious about my overall fitness. Several of my co-workers were too, so we initiated a team fitness challenge. I started going to bootcamp classes and was going to the gym more regularly, but still quite a ways off from peak fitness. 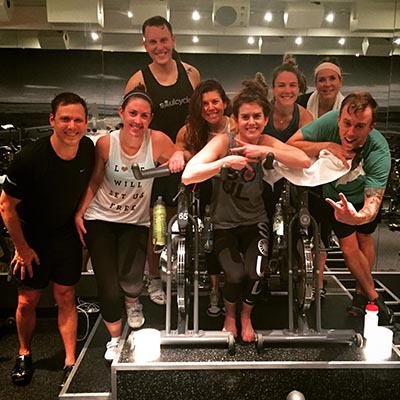 We organized a team outing to SoulCycle in December, but I bailed at the last minute and gave my bike to another co-worker. I’m sure there was probably something important going on at work, but I also know I was pretty scared to look out of place or foolish. I signed-up a second time to go on my own, but underestimated the impact of jet lag from a recent flight and slept through class. That was strike two. I finally made a New Year’s Resolution to myself to stop paying for things and not going, since I was pretty frustrated with myself even though I was making some physical progress at the gym on my own. 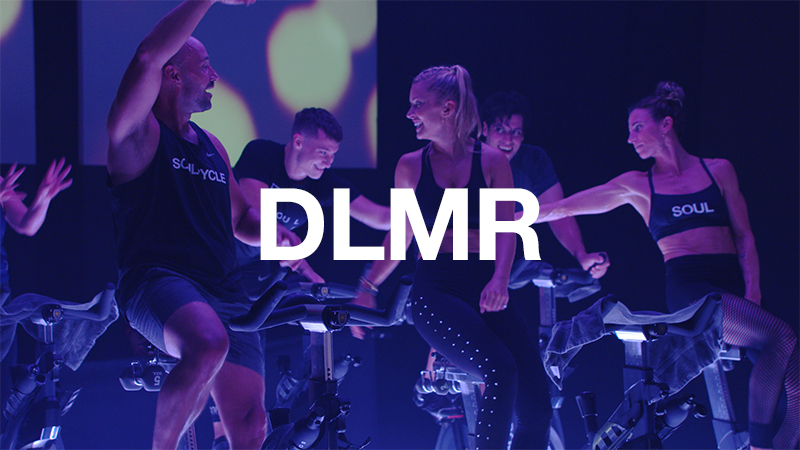 Things changed in March, when our company organized a corporate ride at the SoMa studio for our San Francisco office. 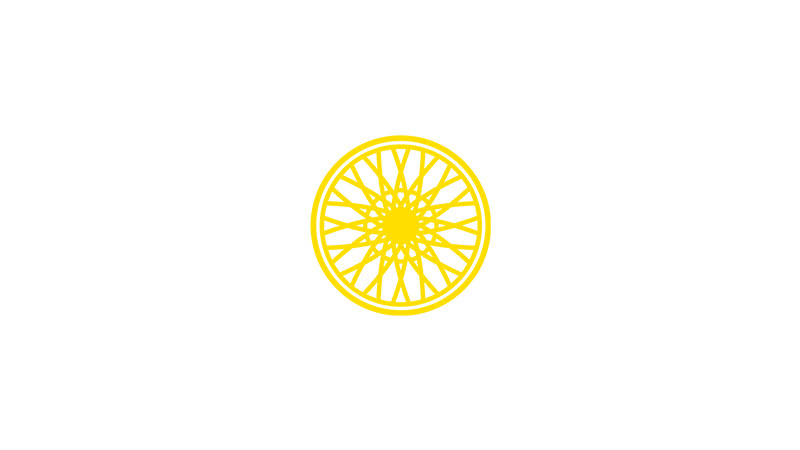 I signed-up because if I was terrible at SoulCycle, at least it would be free! I also had a few friends going for the first time, which helped me feel less insecure. I clipped in for the first time in the back row at SoMa for a class taught by Lauren M. And it. Blew. My. Mind. I was back on the bike for a class taught by Ginny two days later! My first ride with Lauren M. was awkward, uncoordinated and impossible… until it wasn’t! About halfway through the class as I got familiar with the hand positions and general movements, I turned off the self-critical part of my brain, heard Lauren M. when she told us that, “You have everything you need for this moment,” and gave over to the rhythm of the pack. Then, the whole experience was an invigorating and encouraging challenge. It helped a ton to have the helpful staff set up our bikes and explain why they recommended the various settings and configurations. I’m so grateful for that tutorial! My second ride was with Ginny, who was basically an angel from above on a Sunday afternoon. The class wasn’t entirely full, and Ginny took the time to unclip from the podium and offer one-on-one guidance about form and cadence to several of us in the class. With some small tweaks to my hip position and shoulder posture, I felt even stronger on the bike. I was back for a class with Tirrell a few days later, and Tirrell opened class by asking everyone who was comfortable to move to the first empty bike in their row. There was no one else in my row, so there was no more hiding in the back for me! I’ll never forget when Tirrell made eye contact with me during our hill climb and said, “You’ve got more if you just trust in your own strength!” My legs hated me for it in the moment, but I gave that little wheel a big ol’ turn to the right, and felt my first “breakthrough” as I kept the pace for the rest of the climb. The top eight reasons I come back (in no particular order) are MK, Molli, Bea, Tirrell, Kamelle, Ginny, Lauren M. and Samara. Each instructor inspires me with their commitment to a workout that lifts up the body, mind and soul, and each instructor brings their own something special to the experience. I am so grateful for their leadership, guidance and encouragement! 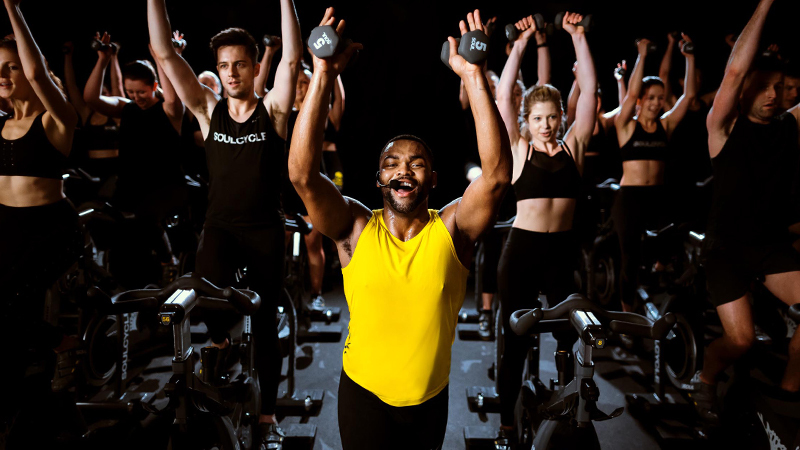 Admittedly, I stuck with SoulCycle when I did because I was heading to Coachella with friends in early April, and liked how SoulCycle was helping me look in a tank top! That’s a shallow truth, but a real one. I challenged myself to ride 7 times in 7 days in the lead-up to my birthday, and I found I started coming back for a different reason. I was clipping in because each class was still a challenge. I felt stronger with every ride, but each class presented an opportunity to prove something new to myself. 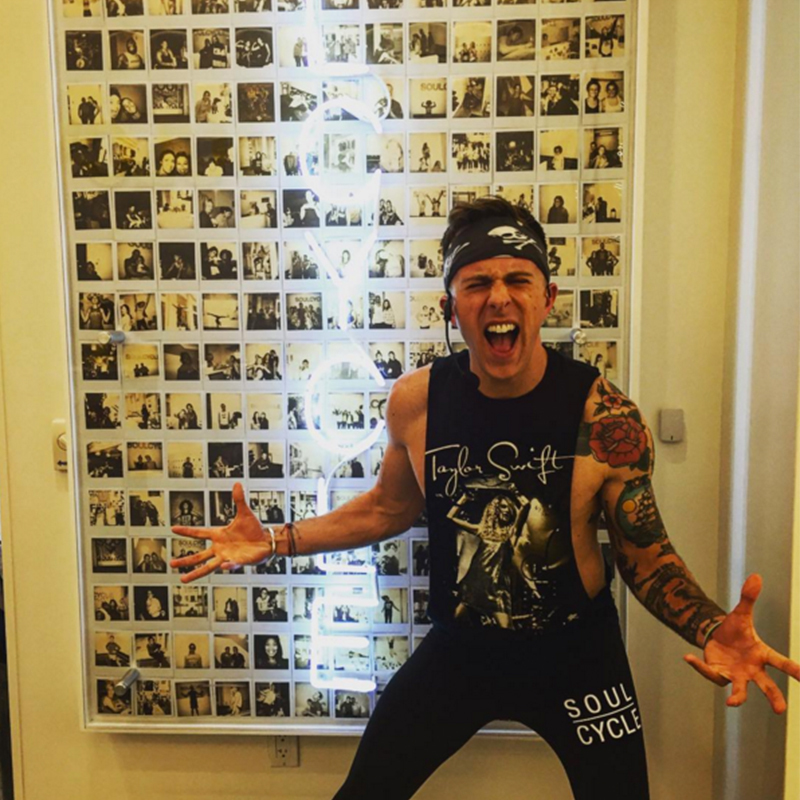 SoulCycle has changed the story I get to tell myself about myself. The summer before my freshman year of college, I was training to run track for my school. It was pretty cool to have a college-level training program to follow, and I ran a pretty decent 5K just before July 4th. Then, a few days later, I woke up and couldn’t move my arms, legs or neck. My mom took me to the doctor’s office, where I was sent to the hospital for fear of bacterial meningitis. I was quarantined, tested with a spinal tap and put on morphine for the sudden bursts of pain I experienced. I don’t have many memories of this experience, but I’m told I would fall asleep then wake up screaming that someone was trying to saw off my wrists or my legs. The tests for meningitis came back negative. So did tests for just about everything else under the sun: West Nile, Mad Cow, HIV… all negative. I still couldn’t move very well, and I was in a lot of pain, but for several days no one quite knew what was wrong with my body. A neurologist eventually came in to run tests and discovered that my nervous system wasn’t conducting signals to my extremities. The diagnosis was a rare condition known as Guillain-Barre Syndrome, which had been triggered by an acute case of mononucleosis. Guillain-Barre Syndrome (or GBS) is a condition I’ll have for the rest of my life. If my immune system has to go into overdrive (such as with a severe illness), my nervous system responds by shutting down from the outside, in. Some patients never fully recover. Some wind up on respirators as the nervous functions responsible for breathing become impaired. I was so exceptionally fortunate to have made a full recovery that summer. I was weak, had to re-train some fine motor skills and was slow to move around, but I recovered and went off to school in the fall. I suffered a stress fracture pretty early into pre-season track practice as I tried to push myself harder than doctors advised, and hung up my track spikes for good. Since then, I’ve long felt like my body was hijacked and my athleticism was stolen from me when I was taken out by GBS that one summer. I’ve tried to get back into shape any number of times, only to give up after a few months. I’ve completed a few marathons out of sheer will power and discipline, but inside I’ve always felt disappointed in my finishing times. I’d developed a habit over 10+ years of telling myself I wasn’t as strong nor as fast as I used to be. That I wasn’t an athlete. That I’d never quite experience the thrill of expressing my power and strength the way I used to before I my Guillain-Barre Syndrome diagnosis. And then, a few months ago, I clipped in at SoulCycle. I had hoped my body would get stronger and leaner, but what I didn’t expect was how strong and brave I would become in heart, mind and soul. I trust Molli when she tells me to put my challenge on the tension wheel and then stomp over it. And thanks to SoulCycle, some amazing friends and the guidance of a phenomenal trainer, I’m telling myself a new story. Maybe I’m not as fast or athletic in the way I used to be when I was 18 years old, but I’m a different kind of athlete now. I’m an athlete whose strength and power is integrated into life beyond a stationary bike. I’m an athlete who chooses hope over fear. I’m an athlete who is the captain of his own ship and dares to go out on rougher seas. I’m an athlete who can pull from within to confront challenges head on. I’m an athlete who is living life heart full, heart forward. I’m an athlete with SOUL. On my way to a Saturday morning ride with MK, I hustled down the stairs in the MUNI (train) station to catch a train that had just arrived. I felt my feet fly out from under me on the slick steps and flew up in the air before crashing down on my left side. I missed the train, and sat on a bench as a bruise blossomed over my entire left thigh. I caught the next train and made it in time for our ride. While I was setting up my bike, MK let us know that one of her best friends was riding with us. It was the friend who hosted MK during her instructor training in NYC. 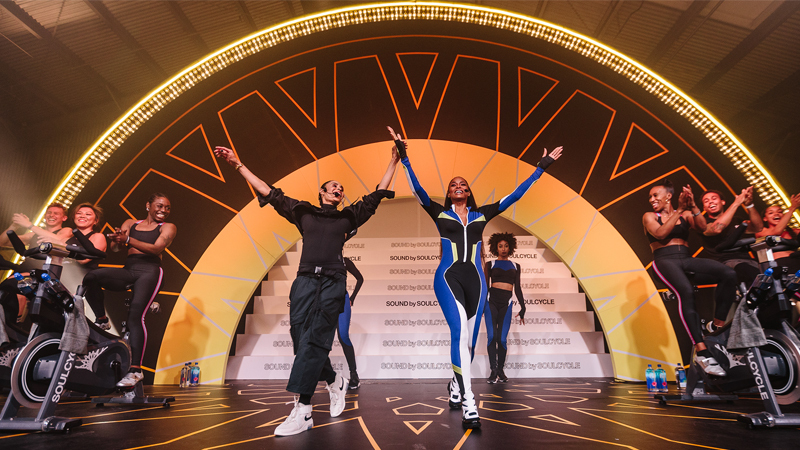 I was so grateful to MK for her authentic joy in that moment, and loved the reassurance that SoulCycle instructors aren’t just punching the clock on a job. I loved knowing that what we do in class can mean as much to the instructors as what they do means to us! Oh, and the bruise healed after, like, six weeks. I travel frequently for work, and let Molli know I’d be heading to New York City for ten days. Within minutes, Molli sent me a list of instructors who had trained her and advised me to check them out. I managed to get a bike that had just been released for Parker’s class in NoHo on a Thursday at 7:30 PM. I told Molli I was excited to check out someone she raved about, and she told me to make sure I said “Hi” for her. The fact that an instructor I’d never met, in a city I hadn’t ridden in would know my name blew me away. Parker’s ride was fast, intense, dancey-as-hell and SO FUN. I loved his energy, and the call outs he gave to someone who was a stranger a minute earlier. "Did the #DOUBLETEAMM challenge with Molli & MK. Two of something I never thought I could finish one of!" Andrew says. The Soul community is a very real thing! I’m so grateful to the Soul community for helping me to tell myself a better story about myself. It’s one I intend to keep telling myself for a long time. And, to anyone who has suffered any kind of setback — whether it’s from a condition like GBS or the general complexity of life — I really hope they can find what I found on a bike, going nowhere, in the dark.